Whether it involves politics, culture, global affairs or the economy, journalists and news media have always strived to commit to complete objectivity and impartiality when reporting or presenting the news. They often adhere to a “view from nowhere,” a phrase coined by the philosopher Thomas Nagel, which describes the opinion-less nature of news production. The news media claims to be impartial in all news it produces. Journalists attempt to remove themselves from the topic at hand and be completely unbiased in order to gain authority and credibility from the public. However, are complete objectivity and impartiality achievable? Should they be the gold-standard that journalists try to attain? One of the main problems with the “view from nowhere” approach is that it fully dismisses the journalist. The delving into, researching, fact-checking and verifying that journalists perform for a particular story leads them to develop a certain view or gain a particular perspective. The “view from nowhere” approach forces journalists to disregard the views and perspectives they have developed along the way and simply report facts and provide weak analysis, which rids the news article or segment of the journalist who is producing it. Expressing the view they have developed in the process of practicing true journalism does not diminish the journalist’s authority or credibility. In fact, it does the exact opposite and adds value to the piece that they are producing. Another important problem with the “view from nowhere” approach is that most news articles and segments fail in their attempt to be unbiased. It is human nature to be subjective, and journalists are no exception. Because journalism involves not only providing facts, but also analysis, interpretation and contextualization, it is not possible for a journalist to maintain a completely objective and unbiased view. “Removing all bias from their reports is something that professional journalists actually aren’t very good at,” says media critic Jay Rosen. The news media is fooling no one with their promises of objectivity and bipartisanship. In fact, the news media’s claim to be impartial, contradicted by their failure to be impartial, does not sit well with the public. According to a 2018 Gallup Poll, a plurality of those surveyed said they had very little to no confidence in newspapers and television news. In addition, a Gallup-Knight survey found that fewer than half of Americans said that they could name a news source that reports the news objectively. The “view from nowhere” approach is not working in recent times like it has in media history. It is time to adopt Rosen’s “here’s where I am coming from” approach. Journalists should disclose and declare their personal opinions and then use their full knowledge and expertise in a topic while reporting. This approach would allow the audience to gain a complete picture of the journalist’s report: facts, figures and events along with views, perspectives and opinions. After being presented with the complete picture, it should then be up to the audience to weigh the various factors and evaluate the report accordingly. Instead of pretending to have no views, journalists can be candid and forthright with this approach, allowing them to reach audiences that share their views as well as those that do not. This approach, however, does not call for news organizations to shamelessly and unabashedly support the liberal or conservative agenda for their own benefit. 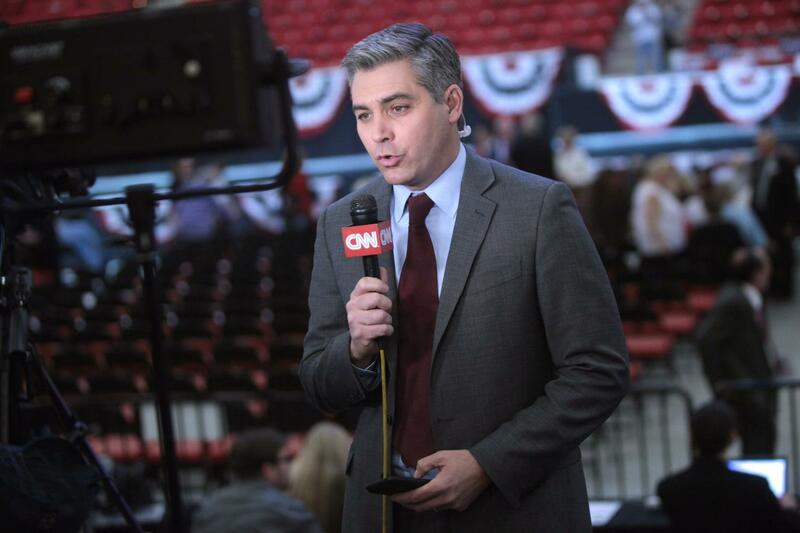 It also does not call for journalists to taunt or jeer politicians on social media in the way that CNN White House correspondent Jim Acosta did on Twitter. The “here’s where I am coming from” approach should be used to provide audiences with a complete picture of a journalistic investigation or report, and therefore, should be accompanied by matters that have substance. It should not be used as an excuse to express petty and spiteful comments against politicians. As appalling and abominable as it might be for legacy news institutions to move away from their traditional practice of impartiality and non-partisanship, it is necessary for them to adjust to the current anti-media rhetoric running rampant. There is news, and there is opinion. It can be credibly argued that Walter Cronkite, a globalist one-world-government fan, was the single biggest cause of America’s defeat in Vietnam. He misused his position as “the most trusted man in America” to opine on the evening news about the Tet Offensive, which was a massive Communist defeat, actually being a loss for America. Why do you think there are papers whose names are the something-or-other Republican, or something-or-other Democrats? But at least the bias was out in the open and people understood it was slanted. Why do you think I call the New York Times the NYT-Traitor, or the Washington Post-Fabricator, or National Progressive Radio, or the Communist News Network? Why do you think, after so many Trump Derangement Syndrome stories on CNN that people ask “Is that true, or did you see it on CNN?” That’s why I call most of today’s “drive by” news the ENEMEDIA. * This is why I changed from being pro-gun-control to pro-gun. I wrote to the NRA; I wrote to (then) Handgun Control, and I cross-checked and compared. I knew both sides were biased; HCI was deliberately deceptive – they omitted information that didn’t comport to their view. I wrote to the researchers both sides cited and again, cross-checked. The pro-gun researchers were not only far more forthright in their communication, but much more complete. Speaking of, I highly recommend the book ARMED by Kates and Kleck (https://amzn.to/2wRhiqf) for a good counterpoint to all the anti-gun pap on the so-called news. The issue is not so much outright bias from one side or the other. The real issue is news organizations presenting themselves as producing “view from nowhere” news while actually doing the opposite, treating their viewing public like idiot sheep. The scandal of it is not even the point of view reporting, but the omission, poorly researched counter-facts/arguments, or even outright dismissal of important countervailing facts/viewpoints/arguments. The big difference that I see between liberal and conservative media is that conservative media will generally take a subject of disagreement, dissect it, debate it, and try to “de-bunk” the other side’s argument. Liberal media, on the other hand, simply declares all ideas it does not agree with as “extremist, right-wing, racist, sexist, anti – whateverist” and goes along its way of declaring that its viewpoint is the only one that makes sense. They treat you like you are dumb. The tactics are insidiously similar to the way so many “utopian” dictatorships begin. And so many people are falling for it. Disgusting. The “view from nowhere” tradition doesn’t really force journalists to do anything except hide their bias (with varying degrees of success). Regardless of bias, news reporting should involve simply facts. The presentation of facts is bound to have some bias to it, but minimized. Analytic journalism allows journalists free rein to express what they have learned while sifting facts. Opinion journalism allows them to stretch even further. It’s time to jettison the pretense that journalists can maintain a “view from nowhere” as well as the requirement that journalists (in news reporting) seem personally apolitical. Replace that useless tradition with a renewed focus on staying within one journalistic genre at a time. The minimum standard should be objectivity, why is the trust in the media so low? It’s because people don’t believe or trust it, Washington Post, CNN, NY Times, all leading media organizations have all demonstrated repeatedly they have published stories with false information then and have a bias. I think that the current news media organizations, all of which either lose money or make a small amount of money, should be allowed to go bankrupt, the government should encourage competition in the media for example by prohibiting consolidation and mergers and maybe even offering loans to new media organizations. As well as no longer requiring a bachelor’s degree to be a journalist, ive written for student newspapers and had my articles published and never took a journalist class. It’s really pretty easy to be a journalist, the minimum should either an associate’s degree or a high school degree and certificate. Either way the news is really not that important, one of the major problems with is that it’s given this great importance as part of political system(an argument almost entirely made by journalists or those who wish to influence the media). In reality the intelligent voter should be able to inform him or herself, they should engage with the candidate at least on a more local level, they should go to direct sources, they should vote based on their ideas or values. None of this requires news media to do. No, no, no, there’s no backstage coordination and issuing of talking points. No, no, no.